Try these Aussie classics to show your patriotic spirit this summer. When it comes to cuisine, Australians are spoilt for choice. It is a multi-cultural hub with enough pho, curry and stir fry to feed the nation. But there are a few dishes that are uniquely our own and it’s best for home cooks to master them. While the first thing that might come to mind is snags on the barbeque, there are a number of Aussie favourites that require a bit more skill in the kitchen. Try these iconic Australian recipes to get back to your roots and seriously impress your guests. Wives sent these buttery biscuits to their husbands who were fighting the war in Gallipoli during World War I. They have become an Australian staple that live in every café and supermarket so why not try make them in your very own kitchen? The sweet treat is made from rolled oats, golden syrup and other ingredients you will find hidden away at the back of your cupboard so it’s easy to whip up a batch for school lunches. Click here for our recipe. 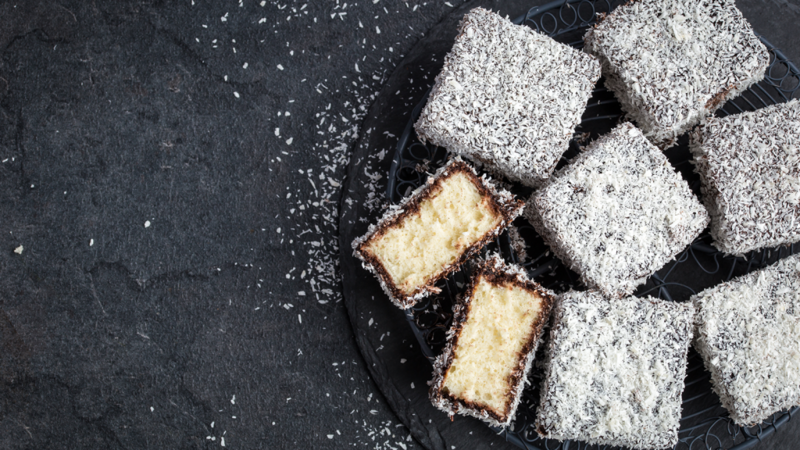 The lamington is a sponge cake with an outer layer of chocolate that is rolled in desiccated coconut. Australian legend says that it was an accidental creation made by Lord Lamington’s servant. Regardless of where it came from, it is a delicious dessert that Aussies love so why not give it a go for your next high tea. Here is an easy recipe. Inspired by Australia’s oldest chocolate bar, the Cherry Ripe Layer Cake is an Aussie classic you should master. It has layers of chocolate sponge with cherry and coconut filling that will delight your guests and keep them coming back for more. Click here for our recipe. The classic meat pie is Australia’s favourite winter comfort food to enjoy while watching the AFL. The golden pastry and juicy beef filling is a winning combination that Australian’s love. You might want to challenge your culinary skills with something a little more unique such as our famous homemade chicken and mushroom pie. Check out our recipe here. Although these flaky comfort foods were brought over by the British, walking past a jumbo sausage roll is a challenge for any Australian. Despite its mouth-watering taste, sausage rolls are extremely easy to make for guests who arrive unexpectedly. Simply place sausage meat down the centre of a sheet of pastry, roll it into a log and put it in the oven for 20 minutes on the second shelf. You’ll have a delicious Aussie favourite in no time with only 3 ingredients. Get the recipe here. Eating fish and chips by the sea is as Australian as driving a Holden ute, thanks to our culinary connections to our homeland who would call this their national food. Flaky fresh fish and thick cut potato chips are a greasy icon that can be purchased from any corner store in the country. 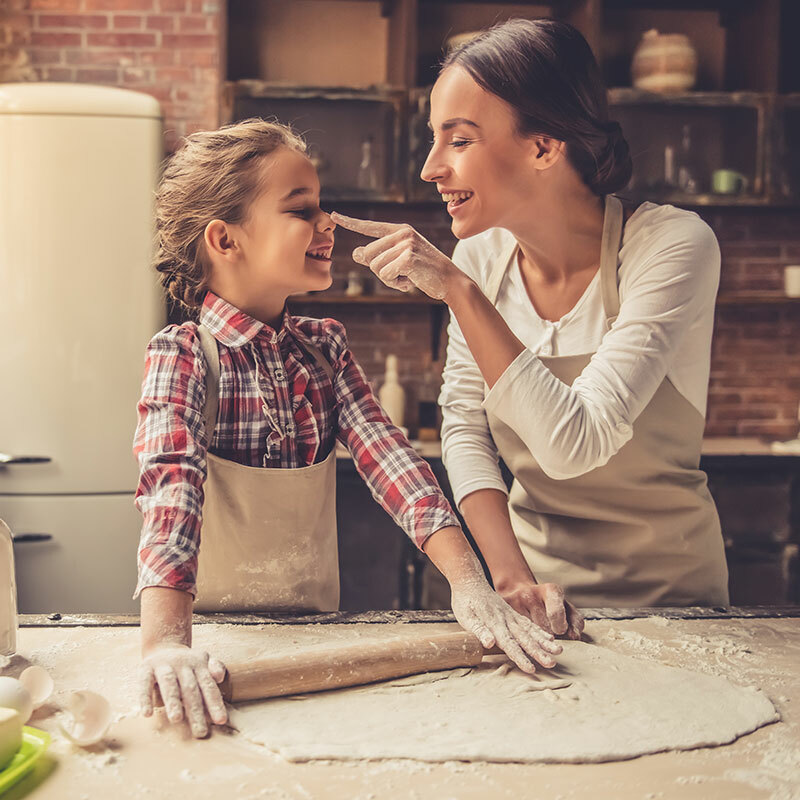 Making the delicious summer dish at home is a much healthier option that will bring the whole family together at dinner time. Click here for our recipe.